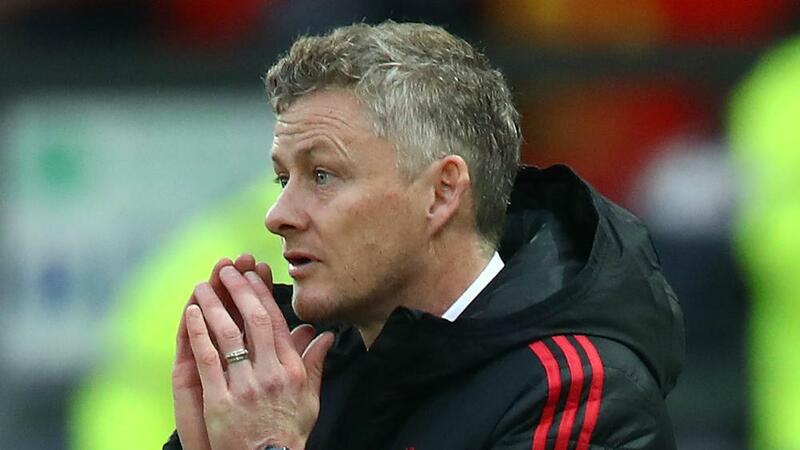 Ole Gunnar Solskjaer said he is "sure" he would agree to take the Manchester United manager's job on a permanent basis if the club offer it to him at the end of the season. The former United striker is in temporary charge of the Red Devils after the sacking of Jose Mourinho and he has made a successful start, winning his first two Premier League matches. Solskjaer guided United to victories over Cardiff City, who he managed for nine months in 2014, and Huddersfield Town, to sit sixth in the Premier League table ahead of the visit of Bournemouth to Old Trafford on Monday (AEDT). In an interview with Sky Sports, the 45-year-old said: "My job is for the next five months, because I'm going to leave them to someone else when they come in. "That's the plan and that's what my job is at the moment, it runs out at the end of May - actually the end of June but we don't play many games in June - so my job is to affect the players on what it is all about at Manchester United. "You're always ambitious of course, but as I've told Ed [Woodward, United chief executive] and the owners, I'm here to do as well as I can and, if in May you decide someone else will be coming in, then fantastic, and if you decide it's me, I'm sure we will agree." Solskjaer indicated that he has spoken to members of the squad about their conduct off the field as well as on it during the time he has spent imparting his own experience and knowledge having spent 11 years as a United player. During the last few months of Mourinho's time in charge, pundits took aim at the behaviour of certain United players, with former midfielder Roy Keane claiming the club's stars were not training properly and not producing on the pitch as a result. Solskjaer said: "Obviously you speak about expectations, what standards we have at Man United on the pitch, but there is also responsibility when you're a Man United player off the pitch. "I'm not going to go into details but we have norms and there is a culture here. Sometimes the best rules are the ones that are written in the walls." Solskjaer won 67 caps for Norway during his career, scoring 23 goals for his country, and he said his approach to management is focused on making his teams effective going forward. However, he emphasised the importance of a solid defence to the success he experienced as a player at Old Trafford. "I've been here for 15 years before and of course my football philosophy is driven by what I experienced here," he said. "We do go and attack teams, try to dominate games and go into every game believing that we're going to win, although we respect the opposition of course. "It's not like we used to win 5-4 every time with the boss [Alex Ferguson]. When we had Jaap [Stam], Ronny [Johnsen], Rio [Ferdinand] and Vida [Nemanja Vidic] at the back, you knew that we could keep a clean sheet, so there is a fine balance there. "And I love seeing players express themselves. It probably comes down to that I experienced more in my football career than I ever believed, so I want other players to have the same feeling when they've finished their careers - that means we need to win."